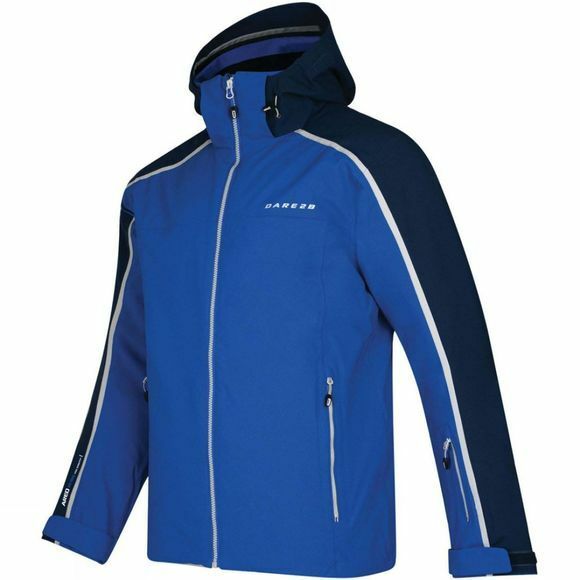 The Mens Immensity II Jacket from Dare 2B is for heading steep and deep to cruising fresh powder groomers. Solidly built ARED V02 20,000 ski sports jacket. Made from highly waterproof/breathable Oxford polyester stretch fabric. Seam sealed. Fully lined with high warmth, low bulk fill. Well-fitting yet roomy where needed for freedom and movement. Neat, foldaway hood with single pull adjuster. Powder blocking snowskirt with gel gripper. Adjustable cuffs to seal in the warmth. Multiple pockets including one for your ski pass. Contemporary colour block design. Founded by sports lovers, for sports lovers, Dare2B have been on a mission since 1999 to get more people outdoors and taking part in any and every type of sport. Their focus is simple: ensuring that whatever you do, you have fun with it. 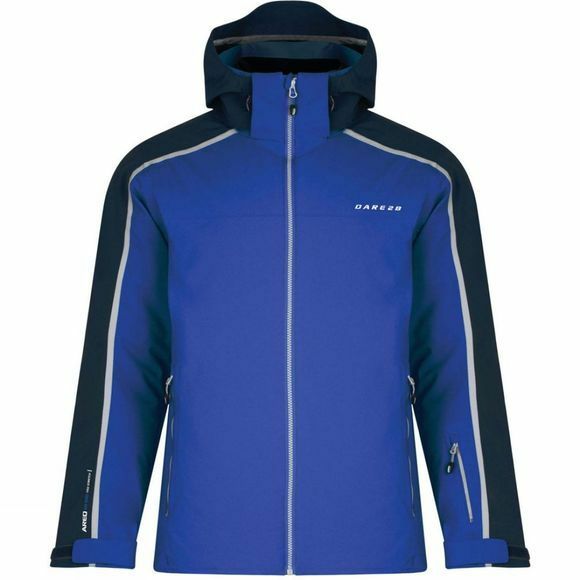 From cycling to running skiing, to snowboarding, their performance clothing and equipment is trusted in over 65 countries. They work with the best athletes all over the world to test their kit in the most extreme situations, so that by the time it makes its way to you, you’ll know that it’s ready to be put through its paces.